PIDILITIND (300) - Posted on 04th April "Support 310-300, Above that upside target 333-343"
As posted it attacked the mentioned target on 23rd April (made high 341), and from there fall started , up to yesterday it corrected up to 299. SELAN (571) - Posted on 06th Feb "Hurdle 465-485, But above this level, Target 715-735"
as posted, March month it broken the hurdle and moved up to 568 and in April once again came down and took support at 485-465 level, now once again moving up , till now made high 584 , so mentioned target of 715-735 is due..
now what is in , in between ? 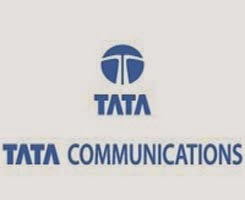 TATACOMM (275) - Posted on 31st March "Face Last Resistance 317-327" as posted it made high 317.55 on 16th April (so perfect resistance), from there, fall started and once again came down to the support level of 275-265( in the last two trading session, trading at this level only, made lowest low 271).